Figure 6.5. 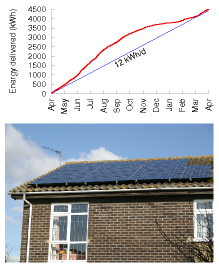 Solar photovoltaics: data from a 25-m2 array in Cambridgeshire in 2006. 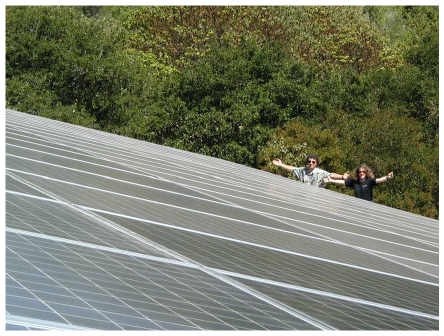 The peak power delivered by this array is about 4 kW. The average, year-round, is 12 kWh per day. That’s 20 W per square metre of panel.